New Hope Fertility NYC’s cutting edge laboratory technology provides embryos culturing in vitro with an optimum environment for healthy development prior to fresh transfer and/or cryopreservation for future FETs. Embryologists at New Hope Fertility NYC choose only the healthiest sperm to fertilize an egg in vitro. HRSS technology provides embryologists with the ability to view sperm at 6000 x magnification using Differential Interference Contrast (DIC) microscopy. 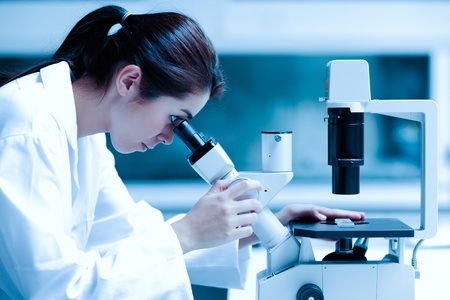 Through HRSS, an embryologist can view the physical details of each sperm – its shape, size, and motility – looking for good morphological appearance. Healthy sperm is essential to the development of a quality embryo in vitro. Normal chromosomes and less fragmentation in DNA are key factors that play a significant role in the quality of an embryo. To schedule your initial consultation with one of the world renowned fertility specialists at New Hope Fertility NYC call 917.525.5496. Embryoscope is definitely a cutting-edge technology helping childless couples regain their lost hope.